Ernest Thompson’s beloved stage and screen hit comedy comes to Judson Theatre Company March 24-27 only! 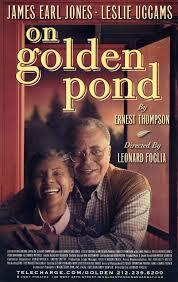 ON GOLDEN POND is the love story of Ethel and Norman Thayer, who are returning to their summer home on Golden Pond. They are visited by their divorced, middle-aged daughter and her dentist fiancé, who then go off to Europe, leaving his teenage son behind for the summer. A heartwarming and hilarious show about generations of a family learning to communicate and care. 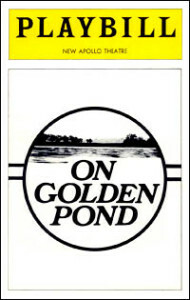 On Golden Pond opened February 28, 1979 at Broadway’s New Apollo Theatre where it ran for 3 ½ months. 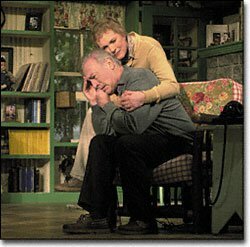 The cast included Frances Sternhagen (then age 49) as Ethel and Tom Aldredge (then age 51) as Norman. After a summer break, it reopened with the same cast that fall at Broadway’s Century Theatre, opening September 12, 1979 and closing April 20, 1980 after over 400 performances. Sternhagen won the Tony Award and Drama Desk Award for Best Actress. The play received four additional Drama Desk Awards: Oustanding Play, Outstanding Actor (Aldredge), Outstanding Set Design, Outstanding Costume Design. It was also selected for the Burns Mantle Theatre Yearbook The Best Plays of 1978-79. 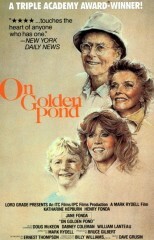 FILM ADAPTATION (1981): On Golden Pond’s film adaptation cemented its place as a cultural touchstone. The film starred Katharine Hepburn and father and daughter Henry and Jane Fonda in their first film together, along with Dabney Coleman, Doug McKeon, and William Lanteau. Jane Fonda purchased the film rights specifically for her father to play Norman Thayer. It was Henry Fonda’s last feature film, and he received an Academy Award for Best Actor. Hepburn received a record-breaking fourth Academy Award for Best Actress, and she performs all her own stunts. Ernest Thompson won the Academy Award for Best Adapted Screenplay. The film was nominated for seven Academy Awards (Oscars) in all, it the second highest-grossing movie of its year (over $119M), after Raiders of the Lost Ark. 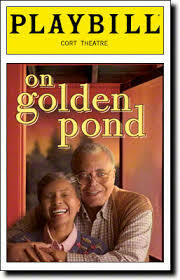 BROADWAY REVIVAL (2005) and TOUR (2006): A Broadway revival of On Golden Pond starring James Earl Jones and Leslie Uggams opened at the Cort Theatre April 7, 2005 and ran for 93 performances. Jones was nominated for a Tony Award for Best Actor and the production was nominated for Best Revival. 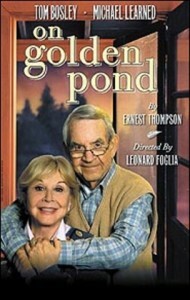 A touring version of this production followed, headlined by Michael Learned (of The Waltons and Judson Theatre Company’s Driving Miss Daisy) and Tom Bosley. 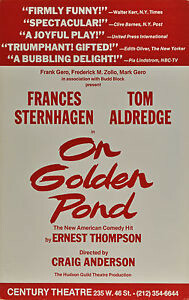 TV SPECIAL (2001): In April 2001, CBS broadcast a live TV special of On Golden Pond reuniting for the first time The Sound of Music co-stars Christopher Plummer and Julie Andrews, as well as Glenne Headly and Sam Robards. 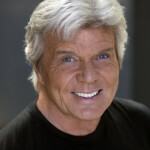 JOHN DAVIDSON (Norman Thayer) Recently seen starring in Wicked as The Wizard (National Tour) and in the long-running New York 0ff-Broadway perrenial The Fantasticks, John made his Broadway debut playing the juvenile lead in the David Merrick musical Foxy, starring Bert Lahr. He received a Theatre Guild Award for playing Curly in Oklahoma! at New York City Center and returned to Broadway starring as Abel Frake in Rodgers and Hammerstein’s State Fair. 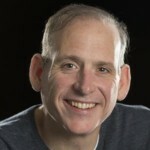 In regional theatre, John’s favorite roles have been Father in Ragtime, Cervantes in Man of La Mancha, Harold Hill in The Music Man, Teddy Roosevelt in Bully!, King Arthur in Camelot, and Billy in Carousel. Born in Pittsburgh, PA, John graduated from White Plains High School, NY and then graduated with a BA in Theater Arts from Denison University. When John first arrived in NYC, TV producer Bob Banner was responsible for broadening his career as a television variety host (The Entertainers, The Kraft Summer Music Hall, and the Golden Globe Awards); a Las Vegas headliner (Las Vegas Hilton, Riviera, Desert Inn, MGM, Caersar’s Palace) and motion picture singer/actor. John made his film debut starring in Disney’s The Happiest Millionaire and worked for Disney again the following year in The One and Only Genuine Original Family Band. Other films include The Concorde: Airport ’79 and Edward Scissorhands. On television, John played the role of Matt in The Fantasticks for Hallmark Hall of Fame, co-starred with Sally Field in the sitcom The Girl With Something Extra, and hosted That’s Incredible! Other television hosting credits include The New Hollywood Squares, The $100,000 Pyramid, and a total of 10 weeks of guest hosting The Tonight Show Starring Johnny Carson. TV movies include Dallas Cowboys Cheerleaders II and Coffee, Tea, or Me. Guest shots include The Ed Sullivan Show, The Sonny and Cher Comedy Hour, Streets of San Francisco, Hotel, Here’s Lucy, Love American Style, The Love Boat, Fantasy Island, The Carol Burnett Show, Hollywood Palace, The Milton Berle Show, and Spenser: For Hire (among others). 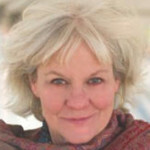 Suzanna Hay (Ethel Thayer) appeared on Broadway in Strindberg’s Dance of Death with Ian McKellen and David Strathairn, Turgenev’s A Month in the Country with F. Murray Abraham and Helen Mirren, and Whose Life is it Anyway? with Mary Tyler Moore. Film and TV credits include Law & Order: Criminal Intent, Three Windows, The Dissection of Thanksgiving, Kidnapped, Guiding Light, As the World Turns, One Life to Live. Off-Broadway credits include Fool for Love (directed by Sam Shepard), Unbroken Circle, Flight, and A Case of You. She has appeared in regional productions of Dearly Departed (Drama-Logue Award), To Kill a Mockingbird (Carbonell Award nomination), Macbeth and Crimes of the Heart among many others, including over 25 productions at the Actor’s Theatre of Louisville. 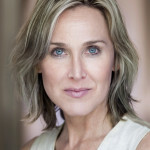 Suzanna is a graduate of London Academy of Music and Dramatic Art (LAMBDA) and is married to the actor Brad Bellamy. Sharon Resnikoff (Chelsea Thayer Wayne) As an actor, Sharon has worked in independent films, has done extensive work in the theatre, and has been a spokeswoman in over 100 on-camera TV commercials, voice-overs, and radio spots. California theatre credits in- clude The Baccchae, Wrecks, The Session and Mad Vincent As a singer-songwriter, Sharon has performed in festivals, clubs and coffeehouses, from The Billy Block Show in Los Angeles to the Bluebird Café in Nashville. 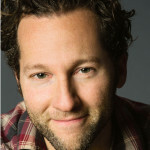 Loren Bidner (Bill Ray) Arriving from New York, Loren is excited to return to Judson Theatre Company, having previously appeared in Plaza Suite with Eve Plumb and Rex Smith. 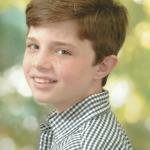 Loren was recently seen as Adam in Neil Labute’s Shape of Things at the Riverside Arts Center in Southern California. New York Credits include Signature Theatre, New York Theatre Workshop and countless Fringe festival shows. Regional highlights include Moises Kaufman’s Lady Windermere’s Fan at the WIlliamstown Theatre Festival and The Open Road at The Actors Theatre of Louisville Humana Festival. William Kalland (Billy Ray) is thrilled to be a part of another Judson Theater Company production of an American classic, having been previously seen as Jem in JTC’s To Kill a Mockingbird. William is an Applause! Cary Youth Theater alumnus, where he’s appeared in numerous shows including Old Dry Frye (title role), and Sing Down the Moon – Appalachian Wonder Tales. He was last seen on the Applause! stage as King Arthur, in A Connecticut Yankee. Past performance also include Raleigh Little Theater’s Junie B. Jones Jingle Bell Batman Smells, and Cary Playwrights Forum staged readings. William is a 7th grade honor student at the Wake Young Men’s Leadership Academy in downtown Raleigh. Special thanks and love to mom and dad.